We all joke about reading "the fine print," but understanding your apartment lease is no laughing matter. A lease is a legally binding document that outlines your responsibilities and protects your rights. Let our Springs leasing team take some of the mystery out of a lease. While not a definitive guide, here are some important terms you need to know along with specific information you should look for. Lessee and Tenant can both apply to you while Landlord, Owner and Lessor refer to the person or management company granting the lease. Premise is the actual unit being leased, which could range from a house to a bedroom. Waiver means voluntarily giving up a legal right. Liability is a legal term for responsibility. For example, you are generally liable for damages that occur to your apartment. Possession refers to occupation and use of an apartment, which is in contrast to legal Ownership. Quiet Enjoyment is a significant legal concept that's often mistakenly taken at face value. This term actually grants you the right to possession of your apartment without interference from the landlord or his agents, such as entering your home without notice. This may sound like a no-brainer, but it's easy to overlook: Make sure that your name and any other lessees are spelled correctly. Of course the monthly rent is one item that everyone looks for, but a lease should also include the due date, length of grace period, if applicable, and the amount of fees incurred with late payment. The lease should include the amount of security deposit payable, where the funds will be held, how and when the deposit will be returned to you, and what conditions entitle the landlord to keep all or part of the deposit. 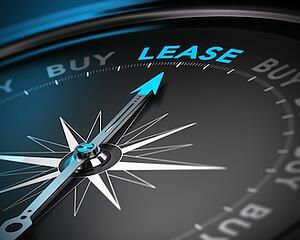 Typical lease terms are usually six, nine and 12 months. Along with the corresponding length of time, the lease should include information about renewal, the amount of notice required for move-out, and instructions for early termination by either side. Who is responsible for utilities, cable and Internet, and any other ancillary expenses? This should all be outlined in the lease. Pet-friendly communities such as our Springs luxury apartments will include a clause specifying deposits, monthly fees, and pertinent rules regarding the responsibilities of pet owners. Most communities will have a manager or maintenance team to handle major repairs, but check the lease to see what repairs you may be responsible for handling. All details of the rental agreement must be contained in the lease, and verbal changes or addendums are not legally enforceable. Any additional terms must be put in writing and signed by all parties. Rental laws vary, so all states and many larger cities have tenant and housing organizations that offer helpful resources for interpreting a lease. You can also find valuable information at NOLO.com, FindLaw.com and HG.org. Have more questions? Our friendly Springs leasing team is always ready to assist you!